512512 Sunglasses Kids STAR style from Image Sunwear. 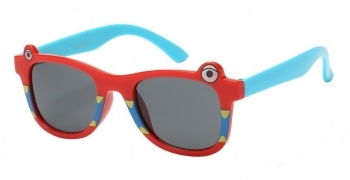 These kids discount sunglasses are available in dozen quantities for the store owner. Image Sunwear sunglasses have the right price, style, and quality. ImageSunwear sunglasses may be cheap sunglasses in price, but the quality and style cannot be beat. Email us if you are interested in our wholesale sunglass programs or place an order for an individual pair. Please allow 2 working days for shipping.